Improve processes and develop products faster with better control over your information. Whatever it is that you make (chemicals, food, plastics, food, electronics, etc. ), you rely on information and documents to operate your business. You need to innovate and get to market fast. Internal collaboration can improve the manufacturing process with fresh ideas sourced from all corners of the company. 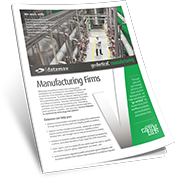 The right document management foundation will help you maximize your manufacturing processes. Automate and streamline workflows for invoices, approvals, job changes, and more. Track, report, and accurately bill document expenses (printing and copying) back to a group, department, individual, or whatever cost center is appropriate. Improve the accuracy and timeliness of the information in your organization – operating manuals, quotes, schematics, photographs, SOPs, etc. A central document repository with audit trails defends against the high cost of e-discovery and litigation AND simplifies regulatory compliance. Ensure that your ISO 9000 documents are always up-to-date and easily accessible. Print and/or scan engineering drawings, facility plans, and other large format documents quickly and economically with wide-format technology. 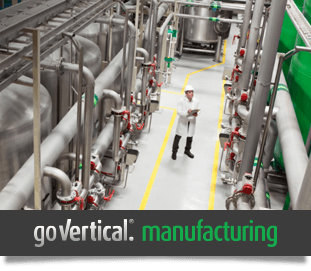 Manufacturing companies go Vertical® with Datamax Arkansas with efficient workflow, faster communication, and an improved bottom line. Keep your manufacturing processes moving with well-managed information assets. Let's talk. “Our company has been successfully conducting business with Datamax for over 10 years to date. Due to the successful partnering we have experienced in the past we recently signed a new 5 year lease for our copier needs with Datamax. Datamax has exceeded our expectations as a supplier by exhibiting fast response time when a problem occurs and most importantly working with us to minimize our costs. During recent negotiations Datamax recommended eliminating unused functions on certain machines which resulted in less costly machines thus saving us money on overall lease cost. We have always used Canon copiers and could not be happier with results. “As Vice President of Finance and Chief Financial Officer, I started working with Datamax nearly six years ago when our company was assessing our printer and copier needs for our corporate headquarters. Throughout this experience, I was impressed with the Datamax personnel from the sales cycle through the initial installation and the ongoing maintenance. Starting with the sales cycle, our Sales Representative, Virginia, has always impressed me with her focus on understanding our business needs and then letting us know if she had an offering that would address the identified issues. After the sale, the technical support personnel have been professional, knowledgeable and courteous. Subsequent to our initial purchase at our corporate headquarters, we have used Datamax to address our printer and copier needs at our two out of state manufacturing facilities in Texas and Pennsylvania. In each of these cases, Virginia focused on our business needs and helped us find the best solution, including the securing of ongoing maintenance through local suppliers. "I am writing this letter in reference to our professional relationship with with Datamax and the level of service they offer to us as a vendor. Trey (our Sales Representative) has always dealt with us courteously and professionally. Our pricing is always fair and our customer service is excellent; problems are resolved effectively and in a timely manner. When we had our new equipment installed, Trey followed up and made sure we had everything we needed and everything was working properly. We appreciate the level of service Datamax has provided and consider Trey an asset to their company."